Value pack of 10 coat hangers! Biome exclusive. We designed this multi-use, stylish coat hanger made from one piece of strong 304 grade stainless steel so you will never need to buy another. One cleverly-twisted wire means it will never break and there is no solder point to rust. Indents hold tops with straps in place, while fitting business shirts perfectly. 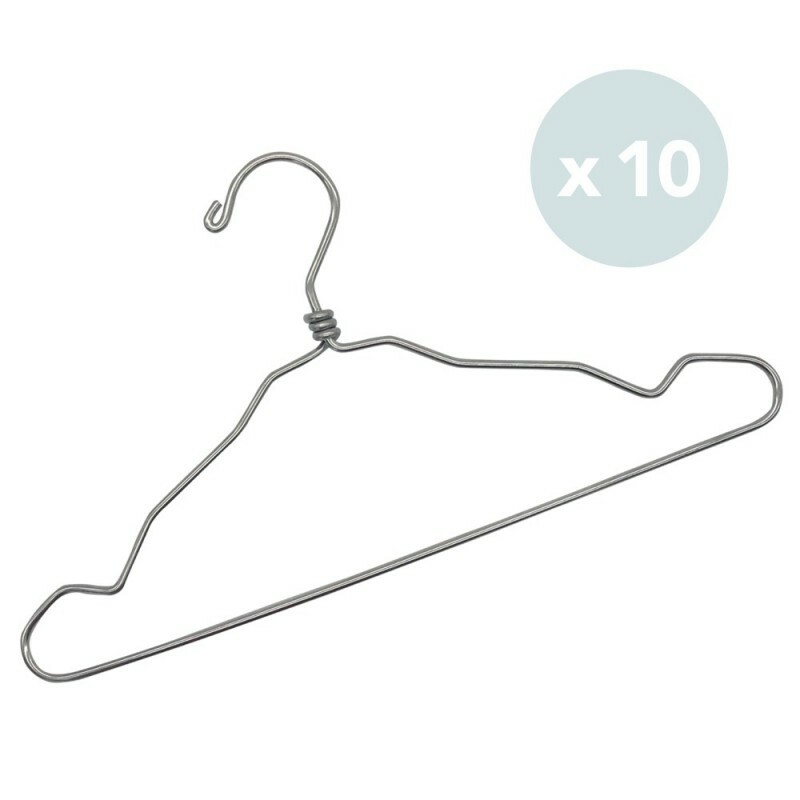 SAVE $17 when you buy this pack of 10 stainless steel coat hangers. We are thrilled to introduce this high quality, sturdy coat hanger that has been thoughtfully designed by Biome to be an item you will treasure for life. The solid stainless steel wire is twisted around the neck, rather than a join that on other metal hangers is generally soldered. Those join or twist points are the weak spot where other hangers eventually rust or break. 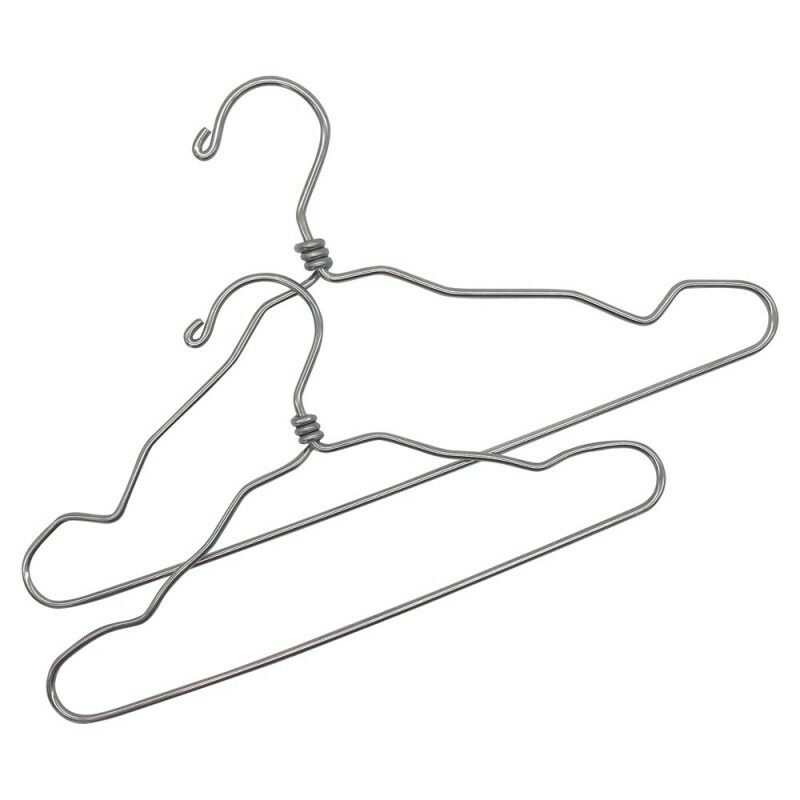 This hanger weighs 182gm making it heavier than a thin wire 'dry cleaning' hanger (32gm) and will not be suitable for more than 15 or so on a flimsy clothes rack. In a wardrobe that has a solid steel or strong wooden bar it should be fine to use as many as you wish. I purchased theses as the cheap ones I had kept bending and were really weak, these were expensive but I am so happy I got them, worth the extra money when they will last a life time, strong and well made. Happy with the quality of this product. Only issue is it's a bit expensive. Love these hangers. No sharp bits, almost exactly the same size of my current plastic coat hangers. Yes they are expensive and heavy but still worth it.